Collect a Capital and Country family trail from the Museum Assistants and take a tour of Federation Australian landscape painting. 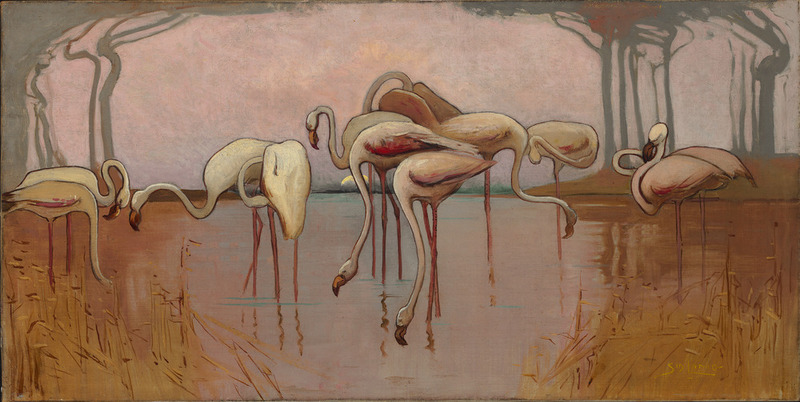 Also explore art produced by Australians who lived in Europe during these early years of the new century. What was life like for Australians living from 1900 to 1913? How is the Australian landscape depicted? What kinds of people were Australians meeting and painting in London and Paris?